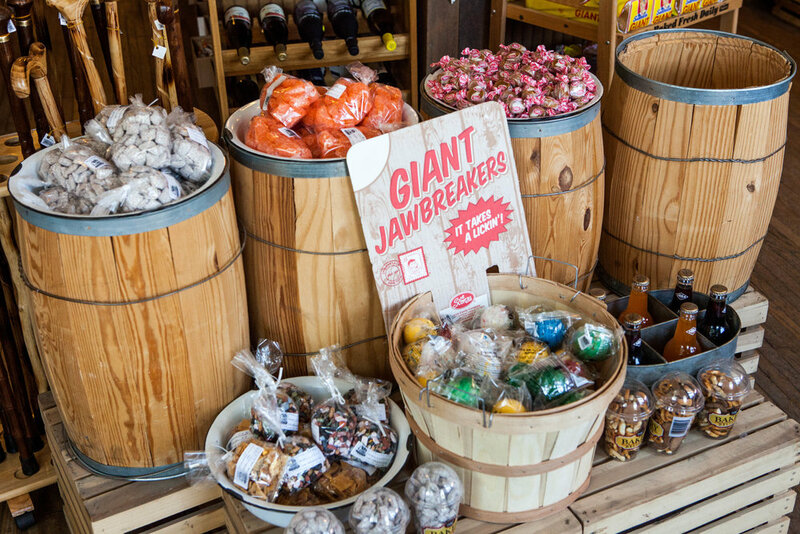 "a little bit of everything..."
Come see for yourself when you visit our authentic, small-town general store located in the heart of Paint Bank, Virginia. The Paint Bank General Store has "a little bit of everything"... come see for yourself when you visit our authentic, small-town general store located in the heart of Paint Bank. 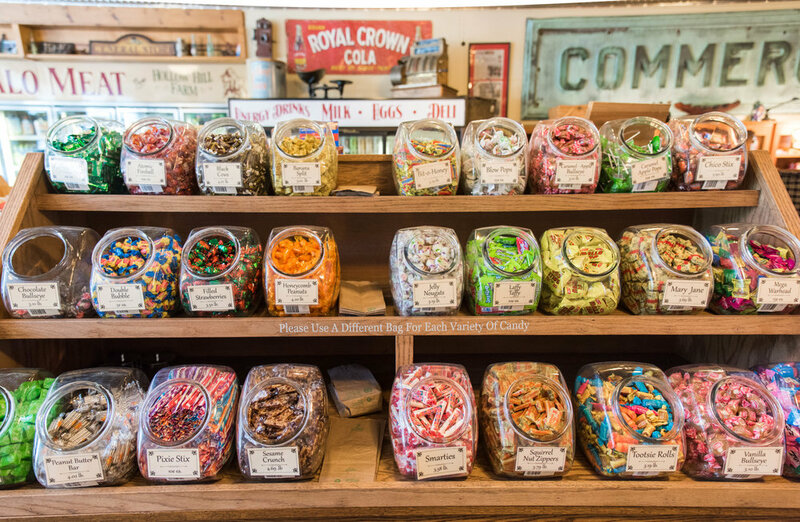 From the old wooden floors to the tin ceilings of yesteryear, the heart of the old-time, genuine country store is still present. You will find everything from grocery items to gift items. You can purchase our own delicious, farm-raised buffalo meat, with have many different cuts available, including burgers & rib-eye steaks. Call the store to order by phone either for pickup or we can ship to you. Upstairs you will find many gift items and our year 'round Christmas shop. Feel free to take a stroll across our real swinging bridge and enjoy our realistic wildlife displays and carvings. After your shopping is done, be sure to visit The Swinging Bridge Restaurant, located inside The Paint Bank General Store. Established in 2006, The Swinging Bridge offers you a unique dining experience in a cozy setting. Outside dining is available on the screened-in back porch. On your way out to visit Tingler's Mill, stop for a game of horseshoes or corn hole. Bikers, take note! Scenic Highway 311 (Paint Bank Road) takes you right into town. 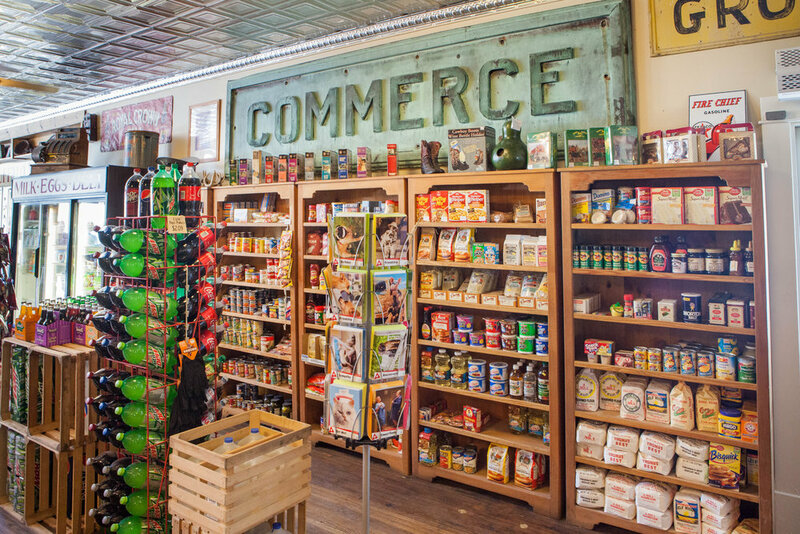 From the old wooden floors to the tin ceilings of yesteryear, the heart of the old-time, genuine country store is still present. You will find everything from grocery items to gift items. We feature our own, locally-raised Hollow Hill Farm buffalo meat. Pick up some jellies, jams and homemade baked goods to bring to the folks back home. 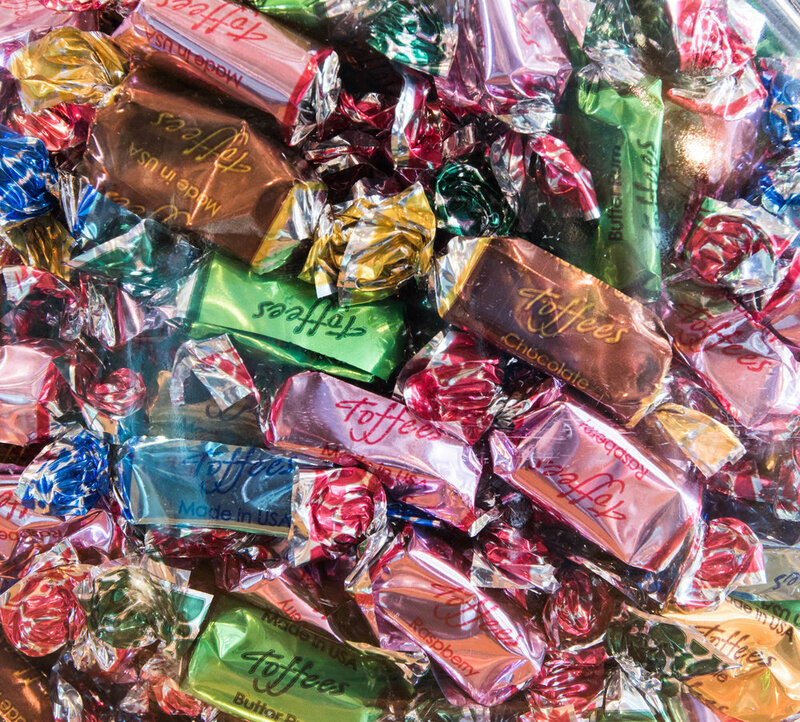 Satisfy your sweet tooth with old-time, penny-store style candies. Bring a touch of country into your home with our selection of primitive décor, handbags, quilts, clothing and toys. Unusual, one-of-a-kind knick-knacks, signs and decorative accents can be found, from the whimsical to the inspirational. Our fragrant candles and soaps make excellent gifts for any occasion. 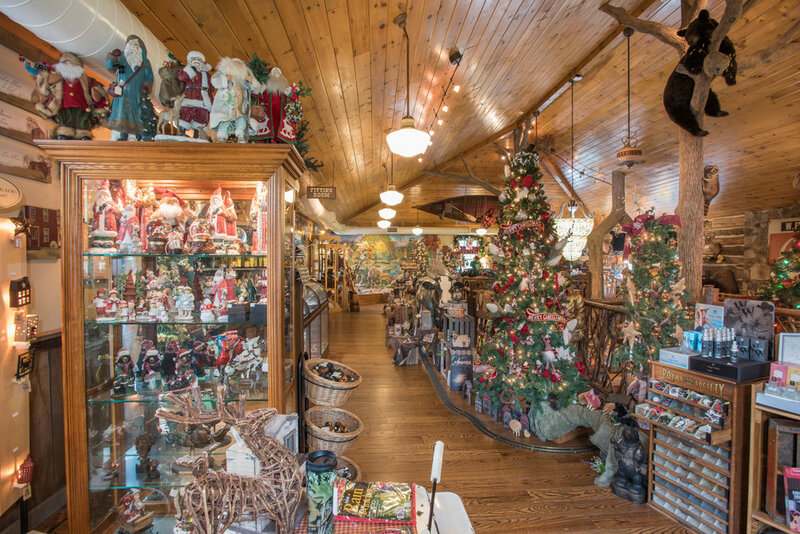 Don't forget to check out our amazing assortment of unique ornaments as you enjoy our year 'round Christmas displays, complete with many fully decorated Christmas trees. Feel free to take a stroll across our real swinging bridge and enjoy our realistic wildlife displays and carvings. Looking to outfit your next outdoor adventure? The Paint Bank General Store & Gift Shop offers a line of camping supplies and licenses. After your shopping is done, go downstairs and enjoy our old-fashioned home-style cooking at The Swinging Bridge Restaurant. I-81 to Exit 141 to Rt. 311 North toward New Castle. Follow Rt. 311 to Paint Bank. The Paint Bank General Store is located on the left. Potts Creek Outfitters is just one of our many attractions here in Paint Bank, VA. Looking for a unique dining experience or to shop at an old fashioned general store? Come see us!